Graffiti is going mainstream. Don’t believe it? Come on down to the 1AM art gallery on Howard Street and watch techies from Twitter and Google paying for street art tours and graffiti 101 classes. That bothers some of San Francisco’s premier graffiti artists, men (they’re mostly men) who’ve been tagging and creating art with spray paint for years. They say these wannabe artists simply don’t get it. “They are missing the griminess. They’ve never been high on crack at 3 o’clock in the morning while hiding in an alley,” says Kevin Dickson. Now 40, Dickson was a member of a well-known graffiti crew called TNT. These days he’s put the caps back on the spray cans and works as a tattoo artist at Haight Ashbury Tattoo and Piercing and an art curator of 2 Cool 4 School Gallery SF on Geary Street. Back in the day, graffiti was a form of social protest, a way for the rebellious to voice their angst and anger – with art. But that’s much less true today. Legally commissioned street art murals like those sponsored by the eponymous Clarion Alley Mural Project, named for the short stretch that links Valencia and Mission streets, is a cornucopia of artistic styles and political messages. While these pieces superficially reflect the essence of graffiti culture, they were implemented to suppress tagging in the neighborhood. It’s been successful, in part because graffiti ethics forbid the tagging over of any work of art. 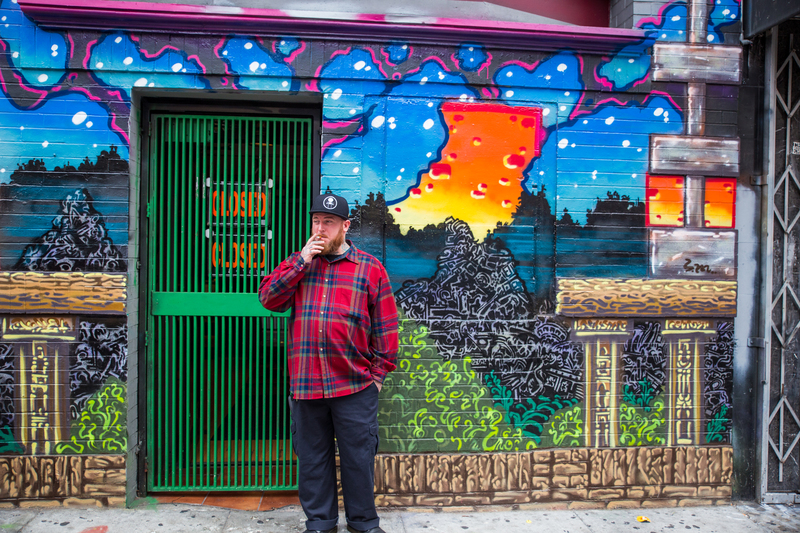 As graffiti becomes widely accepted in San Francisco, veteran artists worry that it’s losing its edge – and straying from its underclass roots and ethics. Joker, 41, is an active writer, nonprofit worker and graffiti legend who grew up in San Francisco’s Fillmore neighborhood. His career began in 1986 when he tagged his first Muni bus at the age of 11. Like many graffiti artists, Joker is known only by his artist’s tag, and doesn’t use or divulge a first and last name. He’s a member of a generation of graffiti writers who took their craft seriously. They dedicated their lives to the streets and to their hardscrabble communities; risking jail and death for their passion. In the 1980s, experienced graffiti writers took young taggers under their wings and guided them through the craft. Writers like Joker who were mentored from the beginning, and worked from the ground up, gained acceptance within the culture. 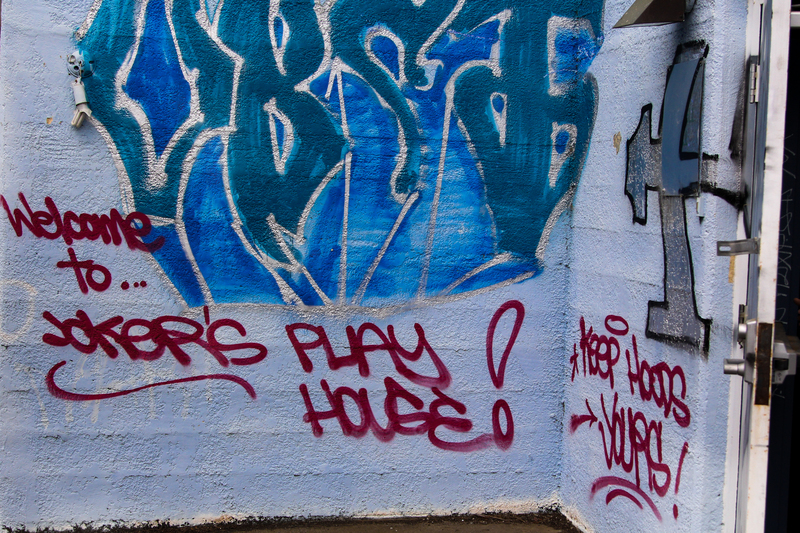 There was a message of empowerment behind most every tag, something that is now often missing in today’s graffiti. Joker says that graffiti was the only way for some people in low-income areas to represent their opinion. “It was about giving a voice to oppressed people in the ghetto. Kids that were criminalized wanted to use this art to speak out and show that they had skills,” he says. Dickson’s passion for graffiti writing started when he was 10 years old. He remembers skipping church service with his buddies to gaze at back alley graffiti pieces and sneaking back before getting caught. Dickson remembers the riskiness of growing up as a young graffiti writer in the 1980’s. While his dad worked late into the night, Dickson was tagging buses, lurking in the shadows and honing his skills on the streets. Today, graffiti art and writing is all over the Internet and social media. Anyone can search for favorite writers online or find their work through Instagram. This is changing the way young graffiti writers learn their craft. Instead of learning from a veteran, the newbies check out the work online and figure they’ve learned all they need to know. But they haven’t, says Dickson. Many young graffiti writers are not following the ethics of tagging that were important to and respected by his generation. Social media and the Internet are changing graffiti in other ways as well. While the previous generations of writers were focused on empowering the working class, newer writers may be taking a more self-serving approach, says Joker. Joker says that young writers would rather promote themselves by tagging their names in as many locations as possible to gain notoriety rather than make a statement. “It’s the insta-graf generation. It’s a selfie nation, and everyone is like, ‘look at me, look how cool I am,’” says Joker. As the new wave of graffiti continues on, old school writers are pushing back through teaching the values of their culture and by bringing back the political message to the city walls. Controversially, Joker is teaching the “gentrifiers” of San Francisco about graffiti culture in order to preserve it. 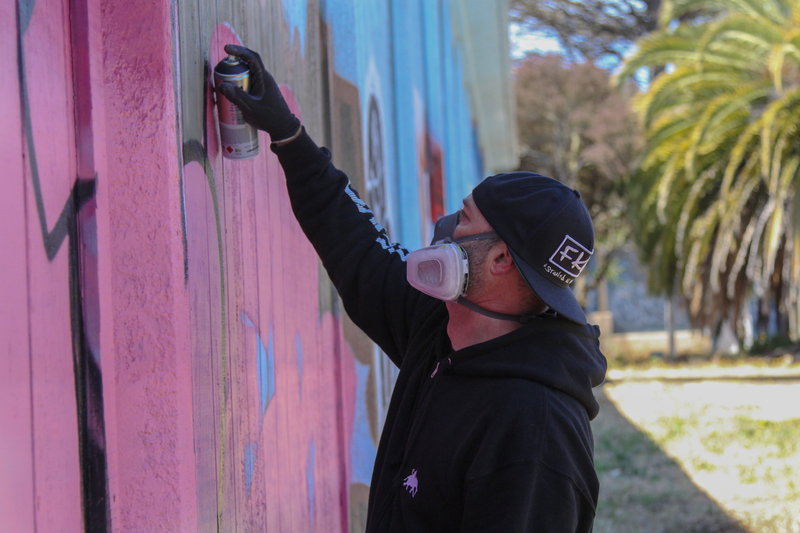 “If we can teach these people what we see as a threat to our culture, what shows respect for our culture, and to support our culture by hiring graffiti writers and buying street art and appreciating tags, I see that as good for our culture,” says Joker. Joker is also part of the KHY (Keep Hoods Yours) graffiti crew. The empowering message that KHY is bringing back to graffiti is reminiscent of a golden era. This entry was posted on August 13, 2015 by Bay News Rising and tagged 1 AM, 1 AM gallery, 2 Cool 4 School Gallery SF, Alex Lamp, art gallery, artist, artists, Bay News Rising, Clarion Alley Mural Project, Emilia Rosales, graf, graffiti, graffiti art and writing, graffiti crew, graffiti writers, insta-graf, Joker, Keep Hoods Yours, Kevin Dickson, KHY, KHY (Keep Hoods Yours), Mission, mural, San Francisco, selfie nation, street art, tagging, TNT, Valencia.